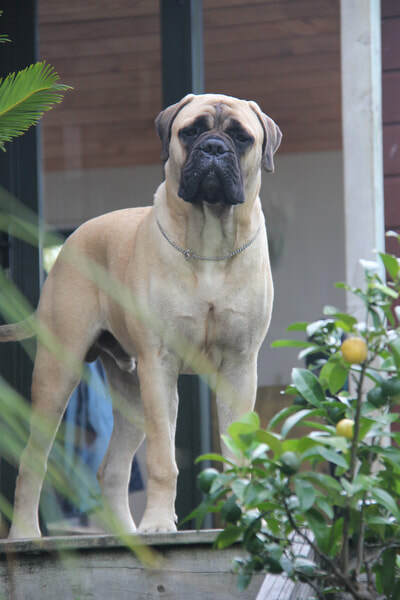 Axel is a large muscular red boy who is developing into a very eye catching boy. He is a powerful energetic mover and has a strong presence about him. He is square with very strong topline, wonderful natural pigment, strong cat like feet, good bone and his head is getting better and better as he matures. Out and about the public is drawn to him. He doesn't yet understand not everyone wants to stop and say hello but he still looks to them for attention. 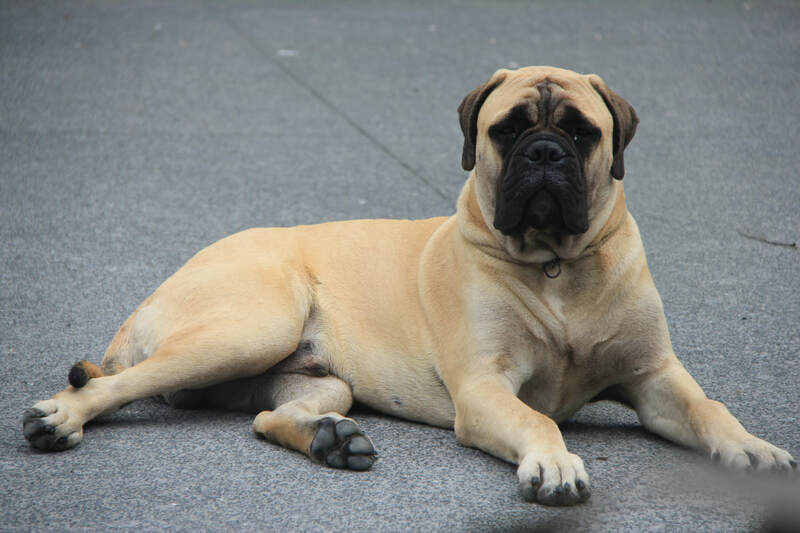 He gains attention in public by going down on all fours, rolling over and waits for his tummy to be tickled. Although not heavily shown his consistent Reserve BEST DOG wins at the Dominion Bullmastiff Specialties and the Blackhawk Nationals in October 2017 are very pleasing as he is still maturing. 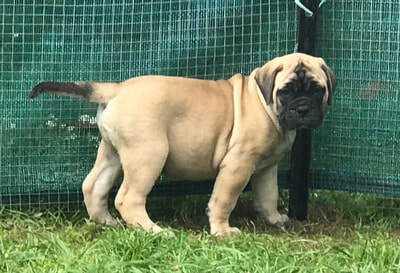 ​Such a delight to own and many thanks to Cheryl and Ken Lichtwark from Kugel Bullmastiffs who, once again, have entrusted a very special bullmastiff that they have bred into our family. Hank's mum is the gorgeous Happy and dad is our stunning red boy Axel. 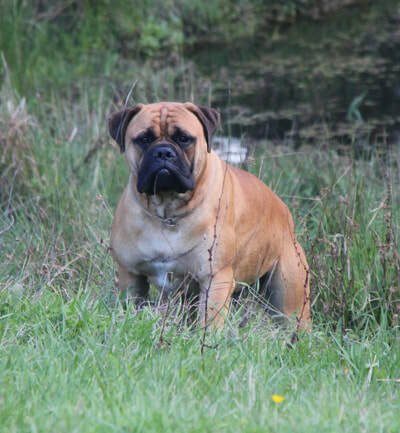 Dam: CH Bodacious Happy Ever After. Sire: CH Kugel Prince of Darkness. He is one of nine naturally whelped. Hank is a large square fawn boy with an amazing laid back personality. He has strong pigment, perfect level wide jaw, level top line and is a freemover. Hank has a strong sternum, cat like feet and good rear angulation on the stack. 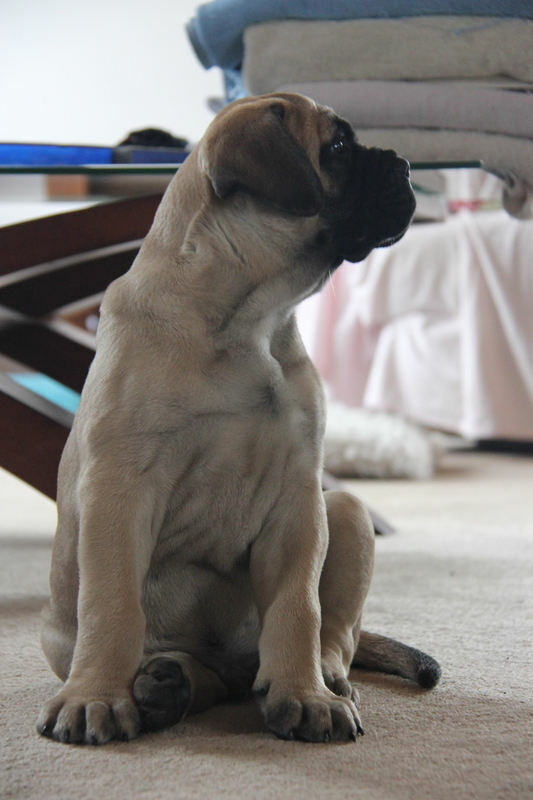 He has lovely bone and developing a muscular body. His head is impressive in size and perfect outline. 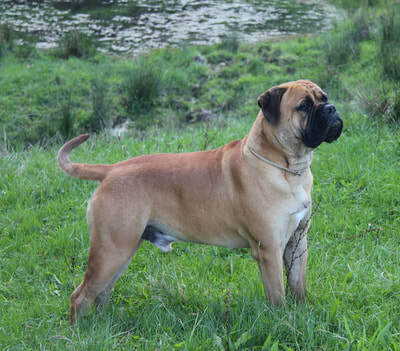 ​We look forward to introducing him to the dog show world in the near future. So look out for him as he adores attention !! 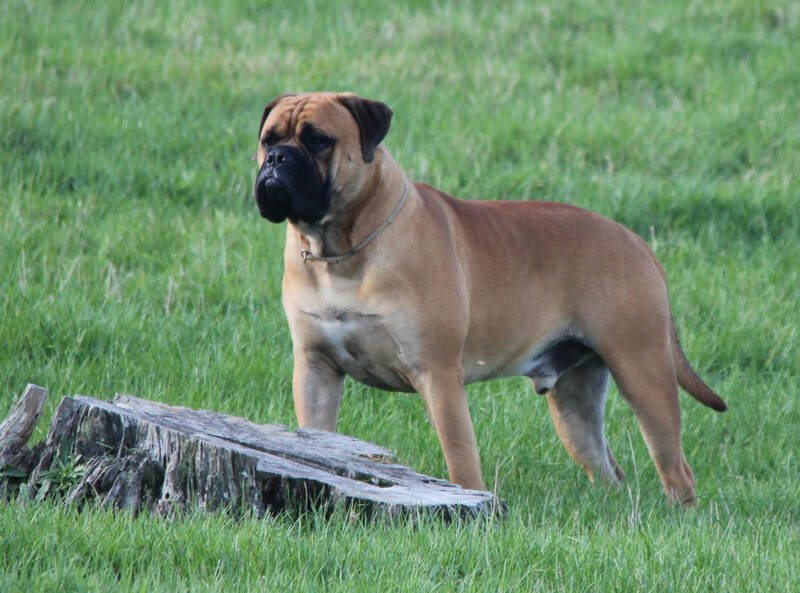 At the Dominion Bullmastiff Speciality Championship show 8th October 2018 Hank won Reserve Best Dog (at 14 months) and Junior In Show under international breed specialist Albert Hope (Scotland). We are very proud of this laid back young man and look forward to what he can contribute to our kennel now and in the future.